There are organizations of Doctors who will help you obtain in depth testing for metals. A preliminay test is conducted as a baseline. Next, doctors give one dose of chelator (a chemical sponge) to find out what the chelator is able to pick up in your body. Different "sponges" identify different metals. Doctors usually only use one test method they know best, so provide incomplete results. User Hint: On the front page, key in the metal of your choice, and all related diagnostics will come up. Patients and clinicians focusing on wellness and prevention and taking an active role in managing health prefer diagnostic tests designed to help identify problems before chronic conditions and diseases develop. Unlike traditional labs that focus on disease pathology, Genova specializes in comprehensive panels that combine standard and innovative biomarkers to provide a more complete understanding of specific biological systems. Was established in 1986 as Great Smokies Diagnostic Lab before changing its name to Genova Diagnostics in April 2003. Not Available to New York Residents. Doctors Order Provided, You receive the results. Laboratoire Philippe Auguste is a specialized preventive medicine located in Paris, France. The laboratory performs over 40 specialized panel on functional and preventive medicine : Aging, Oxidative Stress & Protection, Cardiocascular Risk & Detection, Cancer Risk & Detection Profile, Bone Health, Fatigue, Chronic Fatigue Syndrome, Autism. These tests exist as a profile or complete panel. Our goal is to provide the physicians and patients with timely accurate and dependable test results and also our support services. Only doctors can work with Doctors Data because interpretation of the raw data results is complex new science. Patients cannot order their own tests. So you must find a doctor near you who will order the test, but it is searching for needle in a hay stack to find even an alternative doctor who knows enough about metals to handle the case correctly. National Testing Labs to test your water at your own tap because water chemistry can change as it directly enters your home. Homax Lead Testers from Loews or Home Depot to test for lead in your window sills, paint, and around your house. Whether the results come out positive or negative, metals test results usually make people happy. Negative results are good news. But positive results finally provide a smoking gun, a reason behind the mystery. 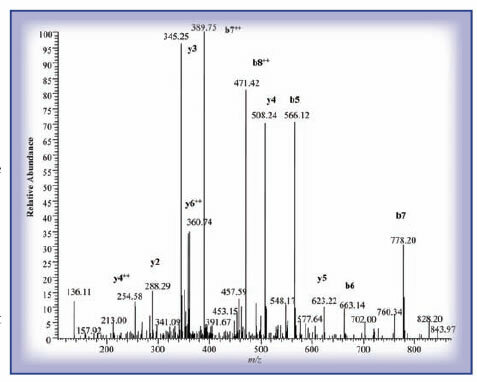 An ever increasing number of labs are providing "submitted by patient" sample analysis that involve no chelator but require scintific interpretation. Test your water, windows, playgrounds, soil, more. Patients refer to this lab as "DDI" or "DD"
All reports MUST be interpreted by a doctor who understands how to interpret the results, which is not at all straighforward. Dr Alan Greenberg's Hair Analysis via phone and DDI Lab. When testing body samples.... the lab report form itself can be confusing to patients. a) every "lab report form" has all possible metals on it, even the ones not being "TESTED". b) only SOME of the metals on the page are actually being tested for by your "provoked test." c) so... just because the form results show "none", that doesn't necessarily mean you "have none."